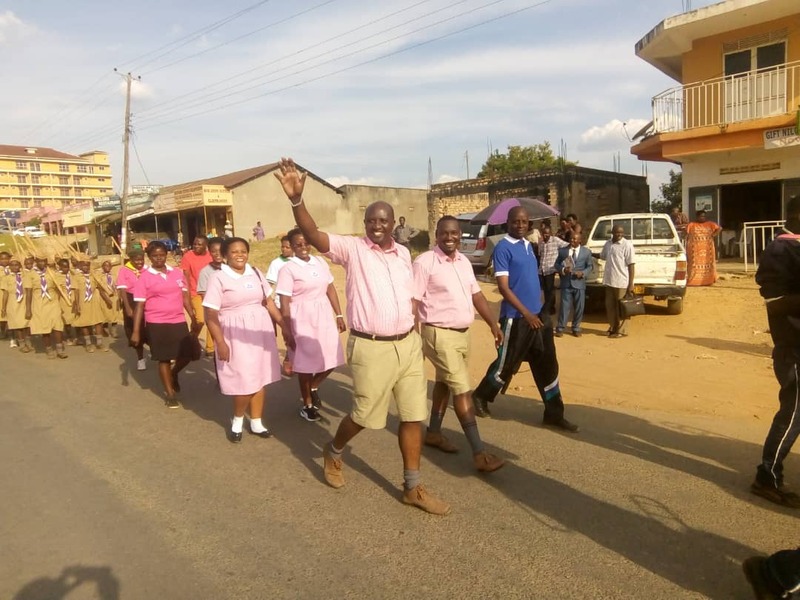 BUSHENYI – Former Bushenyi LCV Chairman Mr Willis Bashaasha has together with friends and old students of Bweranyangi Junior School, on Friday July 13 rolled back the years and put on their former school uniforms as they mobilised the public ahead of the School’s centenary celebrations. Bweranyangi Junior Primary School will on Saturday July 14 celebrate 100 years. First Lady and the Minister of Education and Sports Janet Museveni will preside over celebrations which will be marked with a fundraising drive to put up a centennial building structure to create extra space to accommodate increasing enrollments. Mr Bashaasha, currently the Director of Manifesto Implementation in the President’s Office is spearheading the fundraising as Patron of the Old Boys/Girl’s association.